On August 17 Rennenkampf started the invasion of Prussia, marching the First Army directly westward towards the German lines. Although he faced no resistance, Rennenkampf stopped his advance in a neat line about five miles (8 km) from the border. Acting without orders, Francois decided to take his forces to Stallupönen where one of the Russian divisions was resting. 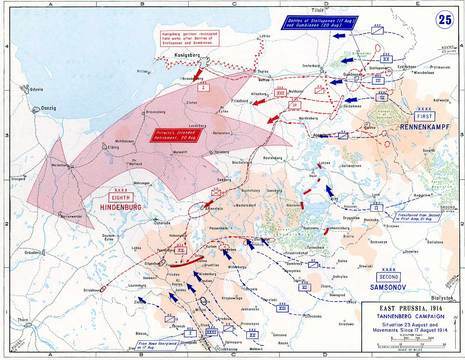 A furious frontal attack broke the Russian division, which fled eastward, losing 5,000 casualties and 3,000 prisoners, almost the entirety of the Russian 105th Regiment. When Prittwitz learned that François had engaged the Russians, he sent an adjutant to order François to break off the attack and retreat. François by this time was too committed to safely disengage, and had no intention of doing so anyway. He contemptuously, and famously, told the adjutant, "Report to General Prittwitz that General von François will withdraw when he has defeated the Russians." Battle on the first day of Russia's invasion of East Prussia (First World War). 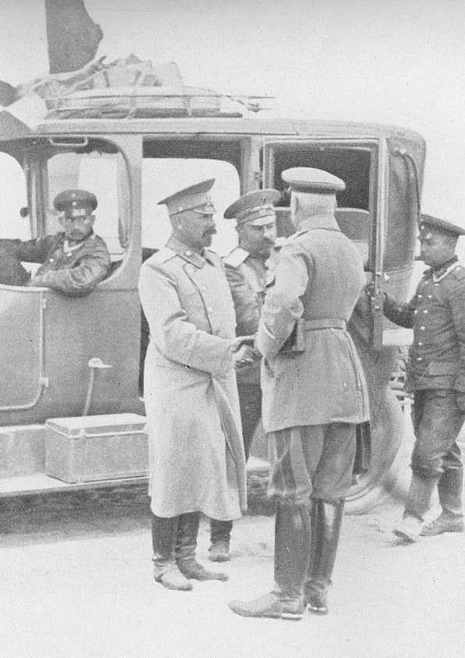 The Russian First Army under General Pavel K. Rennenkampf, invading from the east, was spread out over too wide a front. It ran into a single German army corp under General Hermann von Francois, and was badly mauled. Rennenkampf temporarily withdrew to the border, having lost 3,000 men, in what would compared to later battles appear to be a minor skirmish. Francois withdrew to Gumbinnen.